In order to properly set up User profiles within SmartRecruiters, build an integration with your IdP (to manage user profiles from a single location) and provide a seamless experience for IdP users, please use our User API. 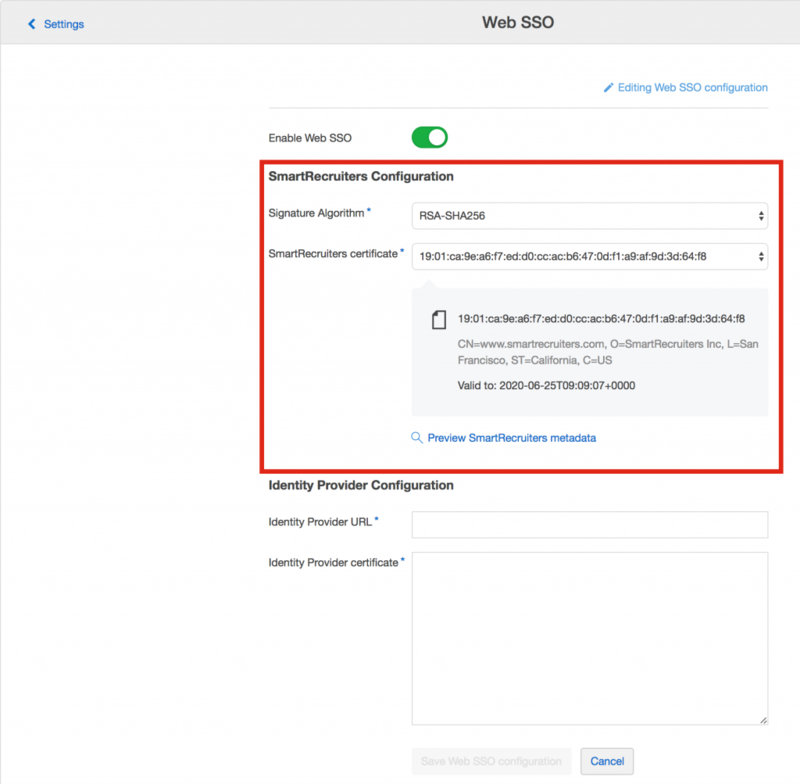 You can find detailed instruction on how to do it in our Creating new SSO-enabled user guide. Note: An email address and password which you provide for each user while creating their profiles can be used to log in directly to SmartRecruiters without a need of going through an IdP. 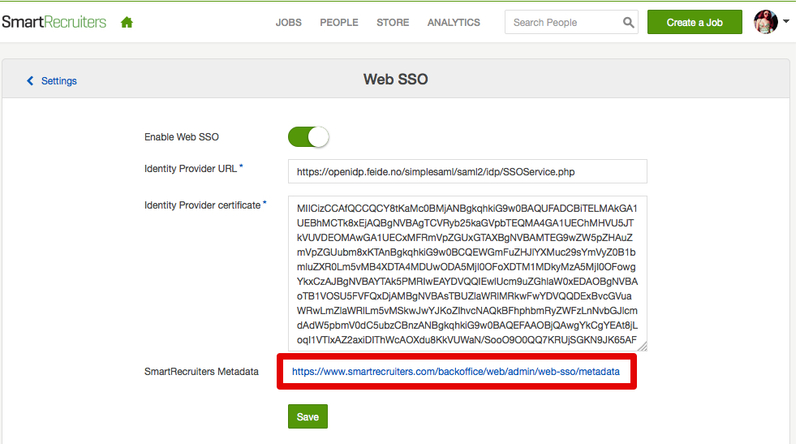 Below you can find detailed guides on how to configure SmartRecruiters as a Service Provider in specific IdP applications. If the guide to a specific IdP that you are using is not listed below and you know it exists (usually it’s available in IdP help pages), feel free to send it to us and we will be happy to add it here. 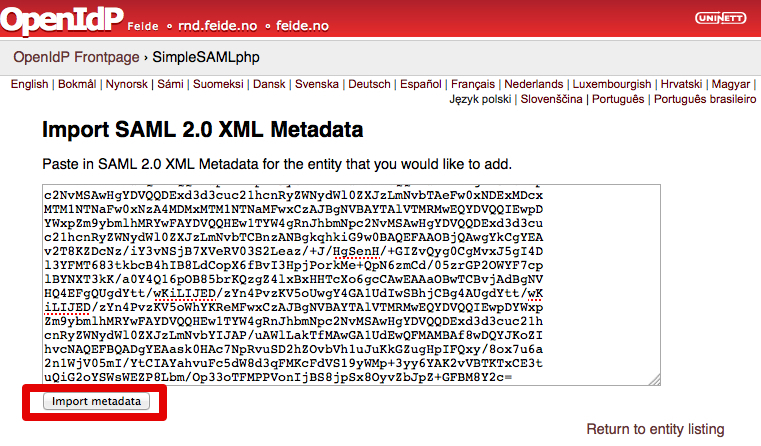 SmartRecruiters Metadata (or using this link if you are already logged in). 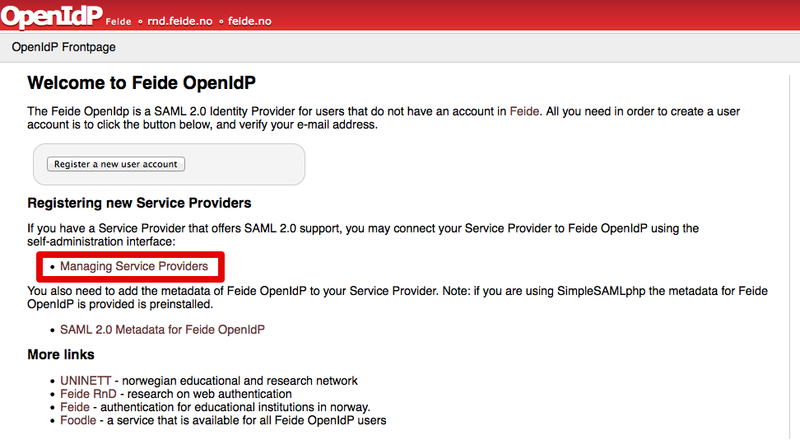 It is shown in point 3 of “Add new Service Provider in your IdP” part on the generic guide below. Here’s our logo that you can use as an icon for SmartRecruiters app. 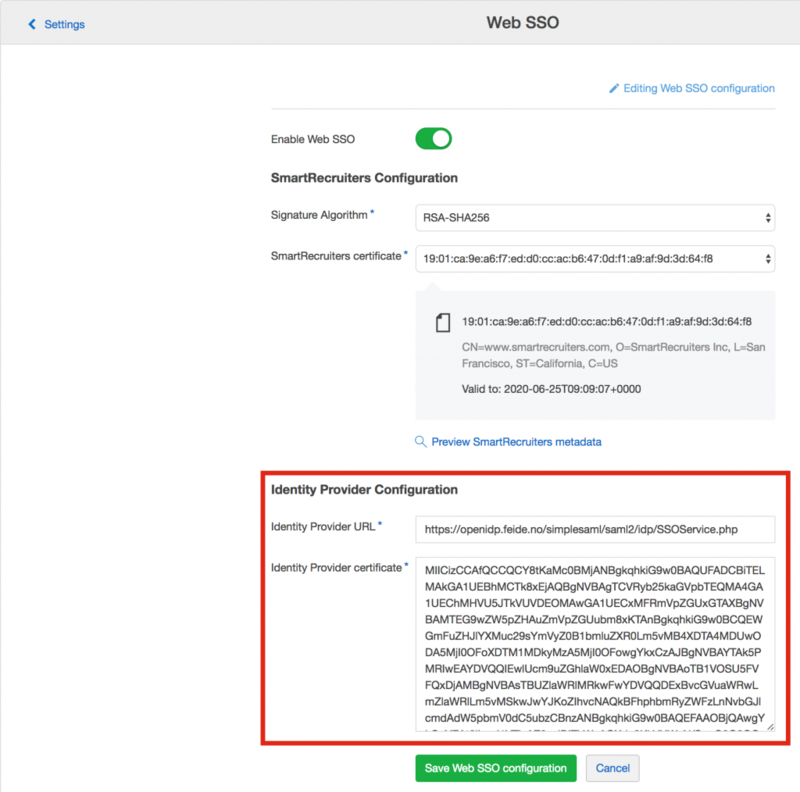 Each IdP configuration looks differently in details but the general concept remains the same as we deal with the SAML 2.0 standard. 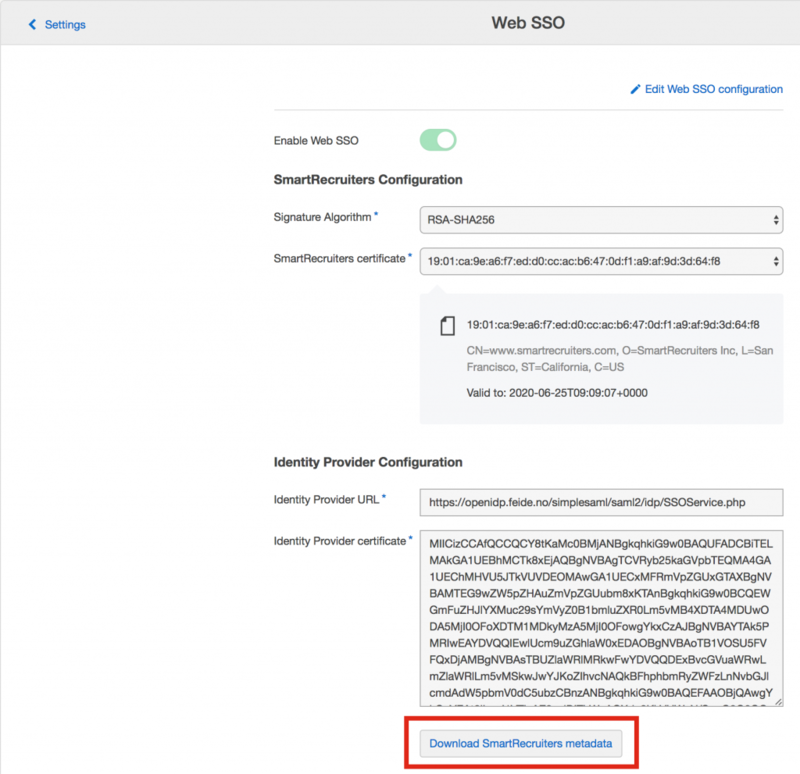 Therefore we present below an example of how to add a new Service Provider using a free OpenIdP provider (Note that the OpenIdP service is no longer available and has been shut down, however the guide below is still valid for getting a generic set up flow). 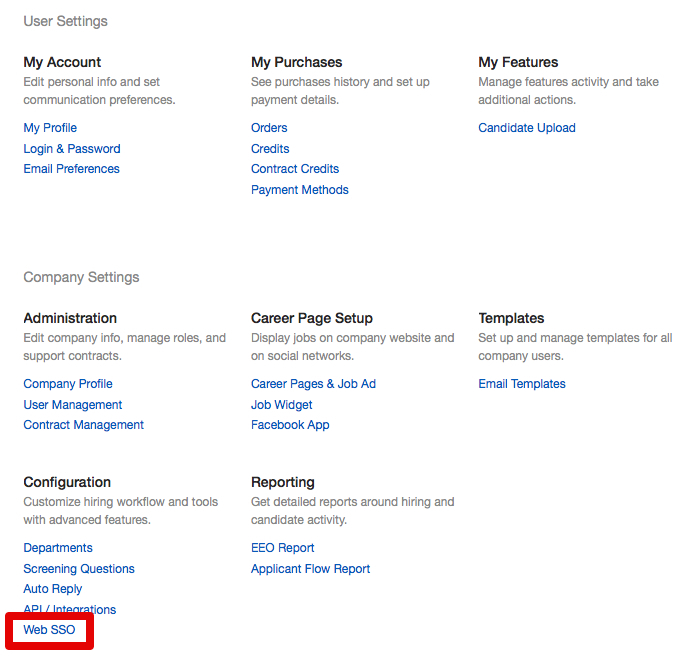 In order to perform a Web SSO configuration in SmartRecruiters you need to be an Admin user. Please select certificate with longest validity. 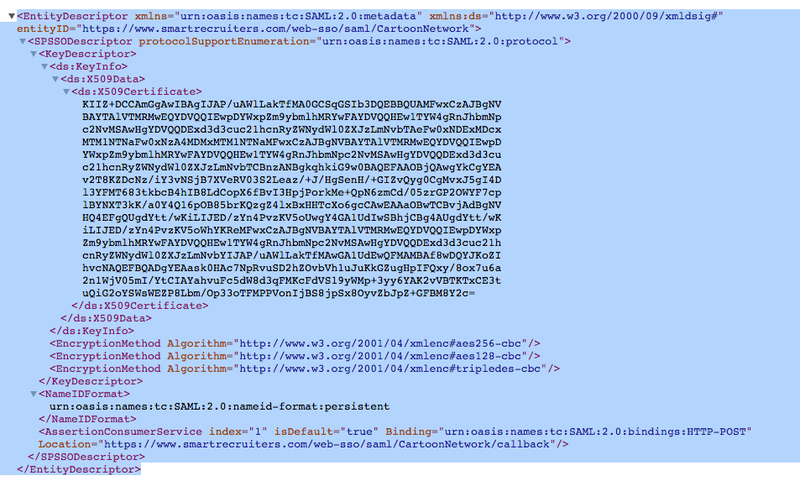 Paste it as shown in the below example. Provide a Service Provider name and Save.